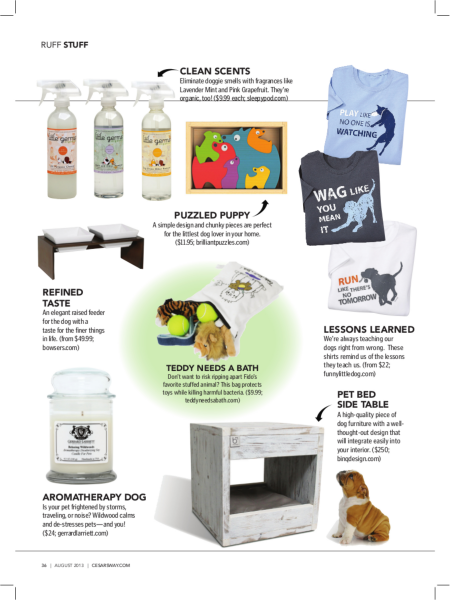 Is your pet depressed or dealing with the loss of a companion pet? Mood-lifting Jasmine raises pet's spirits and yours too! 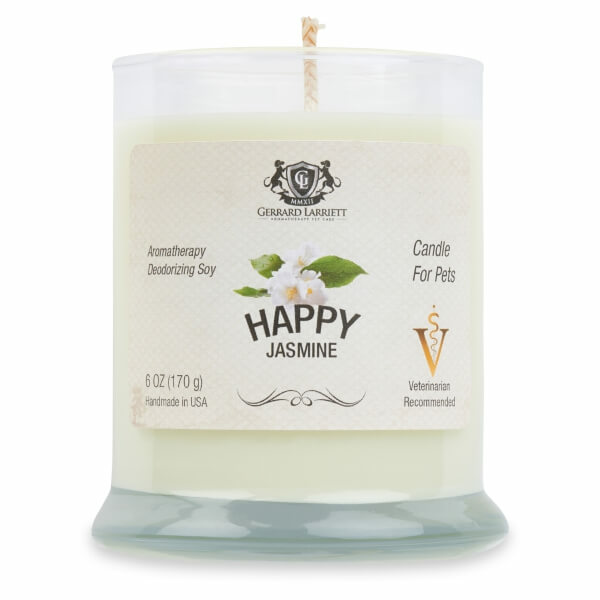 Jasmine Oil: The aroma of jasmine essential oil has a pleasing and uplifting effect on the mind and actively fights depression. This makes a person feel happy. The aromatic effect of jasmine oil stimulates the release of certain hormones in the body, including serotonin, which results in the boost of energy and the uplifted mood. 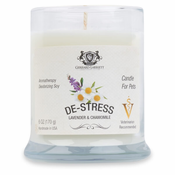 It is such a pleasure to find these deodorizing candles. 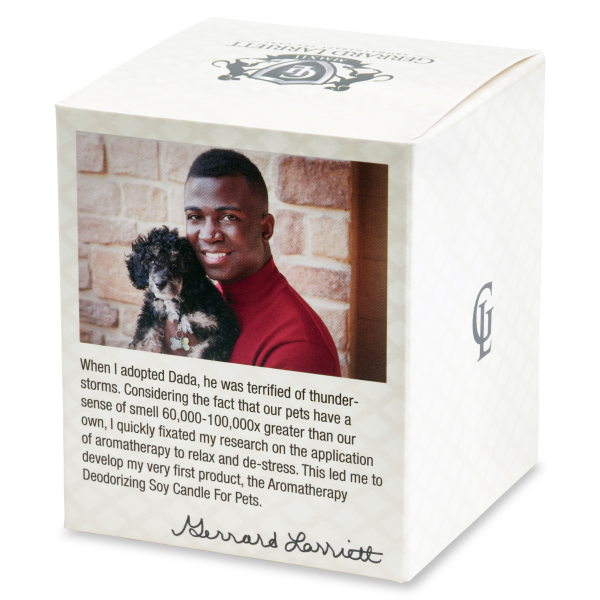 This is a small business with good intentions and their product work heads and tails above big brand odor eliminating candles. My New York apartment is small and tiled almost throughout. My old dog can tend to have an accident and if I'm not there when it happens, it dries before I can detect exactly where the smell is coming from. If you have dogs then you know that a regular mopping just won't do the trick. It means that when I enter my apartment, there is a lingering dog pee smell (definitely not part of my New York fantasy!). Big name sprays and candles wear off and smell very chemically and unnatural to the point that it turns my stomach. So this is what lead me to this page and the decision to give these guys a try. 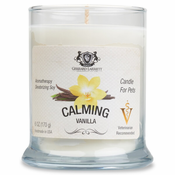 Firstly, soy based candles always smell wayyy better than the petro chemical nonsense they put in brands that rhyme with "blade" or "degreeze". But it's not just that. I let my candle burn for 20 minutes before I hop into bed because the fragrance and soft lighting helps calm me down after a long day. That is plenty of time for this candle to work its magic! Even a day later, there is a subtle but lovely jasmine smell in the apartment and zero pet smells. Or any other odors. Really! The place smells clean. And not "Laundry Fresh" clean which is an oppressive smell. I mean clean as in completely odor free. 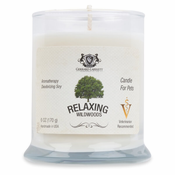 It's affordable for the quality and duration of the candle (I tried typing soy based scented candle into Amazon. Yikes!!$$!) and my guess would be that it's the best of its kind. I don't have a pet but I had read recently that jasmine helps people sleep better so I decided to try this product. I light it in the bedroom about an hour before going to bed. 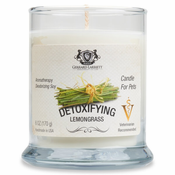 Since I am trying other things, I cannot say for sure that this product helped me sleep better but it smells wonderful and I've always preferred soy candles anyway. It burns evenly, too. And I have been sleeping better... 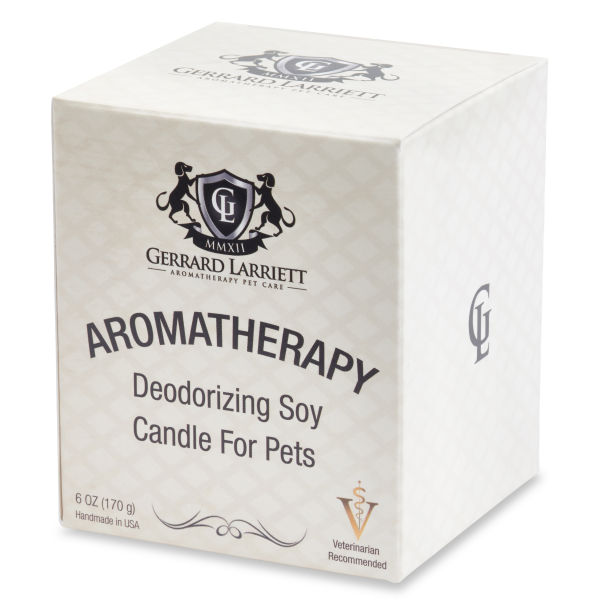 I plan to try other products from this company and I'll be researching why this is labeled a pet candle.